Swelling of the gums  is a common problem. When the tissue forming the gums is thick, fibrous and full of blood vessels, you can find swelling gums. This may protrude or bulge out and appear red which is supposed to be normal pink as usual. This issue makes your gums become irritated, sensitive and even painful. Besides, your gums might bleed more easily when brushing or flossing. Gum swelling is triggered by a number of issues, such as gingivitis, infection, nutritional deficiencies or pregnancy. Other factors leading this dental problem is due to poorly fitting dentures as well as dental appliances, excessive smoking or use of other tobacco products. To fix the pain and swelling of gums, you can go for proper oral hygiene and home remedies. However, if your swollen gums and symptoms lasted for more than two weeks you should see your dentist first for the sake of your health. · Mix clove oil with black pepper to create a paste. · Gently apply on the affected area for at least 30 minutes. · Wash off with water after that and apply on daily basis. All you need to do is to create a paste out of ginger and salt. Similar to other method, you should rub this paste directly on the affected area to. After a while you can wash off with water and remember to apply on regular basis to have the best result. Hydrogen peroxide is designated to reduce gum inflammation and pain. This ingredient is great in killing germs and fight oral problems. To treat your dental problems, you should need to use food grade, 3 percent hydrogen peroxide solution only. Turmeric is another alternative for swollen gums you should go for. It is loaded with curcumin that has antioxidant and anti-inflammatory properties to reduce pain, swelling and inflammation. Similar to the remedies above, all you need to do is to swish your mouth with turmeric paste or directly apply the paste over affected areas for a while. Of course you have to rinse through after that. This is packed with antibacterial quality, which makes it among the best natural home remedies for bleeding gums. This ingredient efficiently protects the gums from being inflamed and swollen. Besides, cranberry is loaded with a lot of vitamins that can boost your immunity to enhance the strength of your body to fight against the bacteria. You are recommended to consume cranberry juice daily or twice a day if possible to have the best result. Baking soda is great natural home remedy you can opt for to treat bleeding gums as it can eradicate the bacteria in your mouth efficiently. · Directly apply baking soda over the gums. · Repeat doing it several times per day until you find satisfied result. Wheatgrass work just as powerfully as cranberry in curing swollen gums. It can eliminate the harmful bacteria causing bleeding gums efficiently in the blink of eyes. To make use of this ingredient, you need to consume the wheatgrass juice several times a week on a daily basis if possible. We all have been there when we head to the dentist only to find out if you have gum disease . 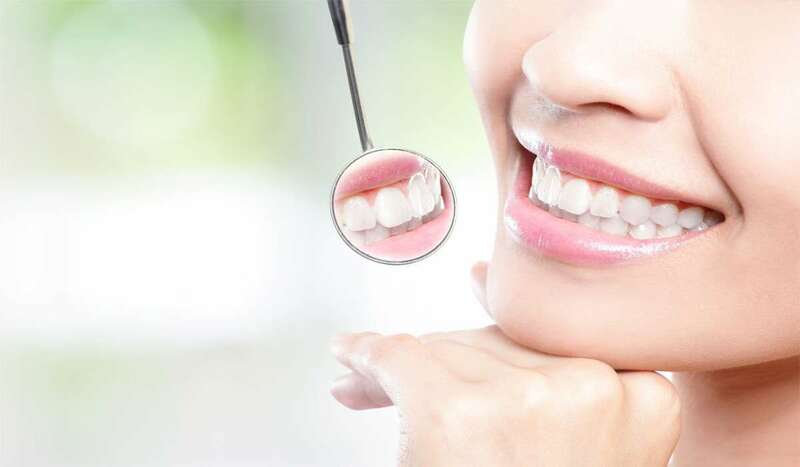 However, treating gum disease isn’t that difficult when there are numerous home remedies for gum disease you can utilize by just effortless home remedies. There are many alternatives you can go for when it comes to strengthen your teeth and gum to have perfect bright smile. This method has been made used of for curing swollen, red gums as well as reversing gum disease with bone loss. Oil pulling as the name says it all can help to pull toxins right out of your mouth and gums. In the mean time, it can lift plaque buildup and is proven to be very effective. You need to use organic oil – any type of oil can work ranging from sesame, olive, or coconut is best. All you need to do is swishing pesticide-laden oils around in your mouth for couples of minutes at a time. It is needed to rinse off again with water. This is one traditional remedy for gingivitis and gum disease as you might have known. · Boil handful of fresh organic sage leaves in distilled water. · Gargle the decoction several times a day as a mouthwash daily. Alternatively, you can create a kettle of sage tea and drink it throughout the day. · Directly chew a few well-washed tender guava leaves thoroughly. · Keep it in your mouth and spit them out carefully. · Alternatively, you can grind some tender guava leaves to make toothpaste to brush your teeth. · Keep doing it on regular basis to have the best result. Indian lilac, widely known as neem, is loaded with antibacterial properties to maintain oral health by destroying bacteria triggering cavities, plaque, gingivitis and other oral problems. · Grind a handful leaves to make a paste. · Brush your teeth with this paste for several times a week. Sesame oil can be used as a mouth wash for to drive out toxic substances and plaque buildup in the gums, which can efficiently strengthen your gums and teeth in the mean time. All you need to do is to take a quarter cup of sesame oil to swish in your mouth on regular basis. Aloe is well known for general public for being an anti-inflammatory and anti bacterial agent. The trick with aloe vera leaves is to take the fresh gel from the aloe plant to brush your teeth. Alternatively, you can use it as your mouth wash every morning or after the meal to keep decay and receding of gums at bay. People have known coconut oil as antimicrobial in nature, which makes it a great remedy to strengthen gums and the cause behind it. The trick with coconut oil is super simple as you only need to take some virgin coconut oil to swish your mouth after brushing your teeth regularly. It is suggested that coconut oil can be used every day to prevent receding gums as well as for general oral hygiene. Tooth cavities and decay  is one of the most common problems regarding oral health that people tend to get. This is more commonly seen among older adults, teenagers anf most likely to happen to children as well. However, since it related to dental health, tooth cavities do not exclude anyone. Dental cavities usually come along with holes in teeth that triggered decay of tooth. Besides, bacterial infection can lead to destruction and demineralization of the teeth’s hard tissues, which add up to tooth decay symptoms as well. Besides, factors such are foods stuck onto teeth, sipping or snacking frequently, lack of oral hygiene, dry mouth and deficiency of fluoride, dental devices all lead to this annoying health problem. Fortunately, you can also make use of these simple home remedies at home without going to see your dentist. Clove oil is always among the list of home remedies for tooth decay and gravities. Since it has high concentration of antibacterial, analgesic and anti-inflammatory properties, clove can significantly relieve the pain as well as prevent the cavity from spreading inside your mouth. If you want to learn more about clove oil benefit, read more How to get Rid of Style. · Mix 2 – 3 drops of clove oil with ¼ teaspoon of sesame oil. · Repeat this every night before going to bed. · Put a teaspoon of salt into some warm water. · Swish inside your mouth within one minute on your affected tooth. · Repeat this 3 times per day until you find satisfied result. This has been one of the age-old practice used for ages. It can help to reduce cavities as well as bleeding gums by cleaning the mouth of harmful bacteria that triggering many health problems. · Take 1 tablespoon of sesame oil in your mouth. · Swish it around for about 20 minutes. · Do not swallow the oil. You can opt for sunflower or coconut oil for the similar result. Garlic is rich in antibacterial as well as antibiotic properties, which often makes it among one of the best home remedies for tooth decay and cavities. The best way to make use of garlic is to swish in your mouth with garlic oil at least twice a day until you find satisfied result. Indian lilac is another alternative remedy for treating cavities. · Gently apply juice of neem leaves on the teeth and gums. · Let it sit for a few minutes and then rinse it off with warm water. · Repeat this treatment once or twice a day until you find satisfied result. This ingredient is especially effective in the early stages of cavities. To have quick result, you can apply fluoride on your mouth several times a day. Within few weeks you will find satisfied result. It is a must for everyone to brush your teeth at least twice a day to prevent cavity-causing bacteria from building up on the surface of your teeth. To have the best result, you brush your teeth along with fluoride at least once a day if possible. Denture sores , also known under the name False Teeth, are considered an essential solution for the loss of tooth. Despite being extremely helpful, the dentures might bring discomforts and pains, too. Most people who wear denture are prone to suffer from this problem as well. Denture pain or sores usually come along with swelling and pain even red sores at the gum, dry mouth with white patches of yeast infection. The most common factors that add up to the pain from dentures are bacteria inside your mouth as well as low quality and ill-fitting dentures, bad oral hygiene, chewing hard foods which make dentures crack can also trigger this health problem. Fortunately, there are some natural home remedies for denture pain which are easy for you to apply at home without lavishing money. The first ingredient from the list of home remedies for denture pain you can go for is salt. It can provide you the tremendous relief as well as alleviate pain and swelling at the gyms. Have your dentures removed out of your mouth. Rub your gums gently using salt for couples of second. Perform this every day until you find satisfied result. The simplest thing you can do to make use of clove oil is to wash your mouth with clove oil daily until you find satisfied result. This is also known as Mexicans, Hispanics from the American Southwest, which is wonderful ingredient for fighting mouth sores. You should go for fresh fig and place the paste from this ingredient to your gums at least once a day until you find satisfied result. When you face the problem of denture sore, eating like a baby during the adjustment period is highly recommended. Sticking to soft, easy-to-chew foods such as soups, stews, and pastas (macaroni and cheese) is extremely beneficial to your gums and teeth. For dessert, enjoy puddings, gelatin, and applesauce to make sure you do not miss any of your favorites while suffering from denture pain. To successfully reduce gum pain caused by dentures you should go for black tea bag. It has high concentration of tannic acid, an astringent that helps reduce pain as well as swelling of the gums. Besides, it can also help to deal with bacteria. Prepare your own cup of hot black tea. For the solution, you can sip through all day and place used tea bags over your affected areas. To reduce gum pain, turmeric is excellent pain-relieving properties. It contains curcumin in turmeric, which has antioxidant and anti-inflammatory properties that help reduce pain, swelling and inflammation of the gums. You are recommended to either drink turmeric tea throughout the day or apply the paste over the affected areas until you find satisfied result. You can always opt for aloe vera, too to get rid of denture pain. It is rich in anti-inflammatory as well as antibacterial properties that help restricting the growth of harmful bacteria in the mouth, soothe inflamed gums and reduce gum pain. 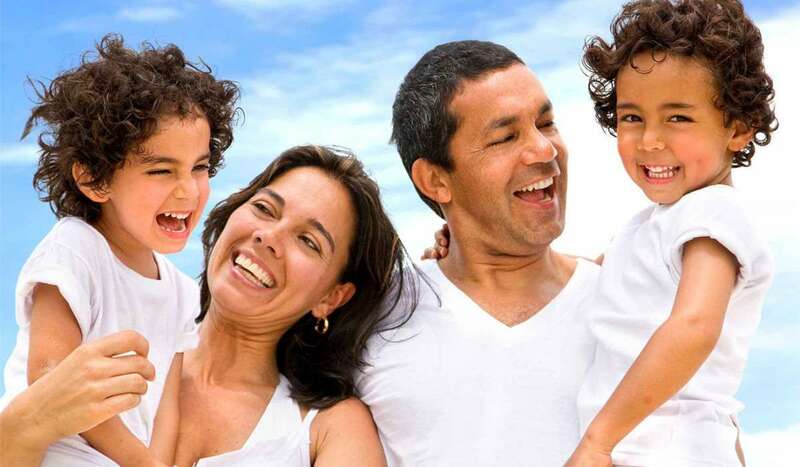 A shining set of sparkling white teeth is what makes a person to be more attractive, healthy and younger. Many people avoid smiling in public since they want to conceal poor color of their teeth , which is yellow one. Teeth may gradually become yellow because a lot of negative factors such as aging, hereditary factors, poor dental hygiene, or excessive consumption of tea, coffee and the most influential one is cigarettes. Generally, people tend to seek professional treatment to remove the yellow tinge from their teeth, which can take time and might be huge sum of money. Fortunately, there are many kitchen ingredients that you can use to restore your pearly white smile and get rid of yellow teeth in the mean time. Baking soda has been one of the best ingredients that you can use to get rid of yellow teeth, which can help to remove plaque and remove poor color of your teeth. · Mix a quarter teaspoon of baking soda with a little toothpaste. · Brush your teeth by this mixture for a while. · Rinse with warm water. · Perform this action at least once or twice a week. · Rub orange peel over your teeth the night before going to sleep. · Leave it overnight and head to sleep without chewing any. · Perform this for several times a week within few months until you find satisfied results. · Every morning before you brush your teeth scoop one tablespoon of coconut oil. · Put them in your mouth and swish to pull the oil through and around your teeth. · Do this for 10-15 minutes and spit it out after that. · Rinse with warm water and brush your teeth after that. · Perform this action few times a week on regular basis. · Rub the inside of a banana peel over your teeth for couples of times. · Wait for 3 or 5 more minutes then brush your teeth. · Repeat this for few weeks and you will find yellow teeth in no time. You can totally make your own mouthwash at home to treat this yellowish color of your teeth. You only need to mix 3% hydrogen peroxide and water in equal parts. Now when you have your own solution, swish it at least few times a day until you find satisfied result. The trick when you bite into crunchy fruits or vegetables is that they scrub your teeth like a toothbrush and make them whiter by removing the film that may stain your teeth. You should eat other crunchy food items that are available such as carrots, cucumbers or apple as well. Carrot is another natural teeth whitener that helps to get rid of yellow teeth. With the help of carrot as well as balance acid-alkaline accumulated in your mouth, which prevents the bacteria from growing and causing tooth problems. Besides, you can also eat more carrot on regular basis, either way will work wonders.